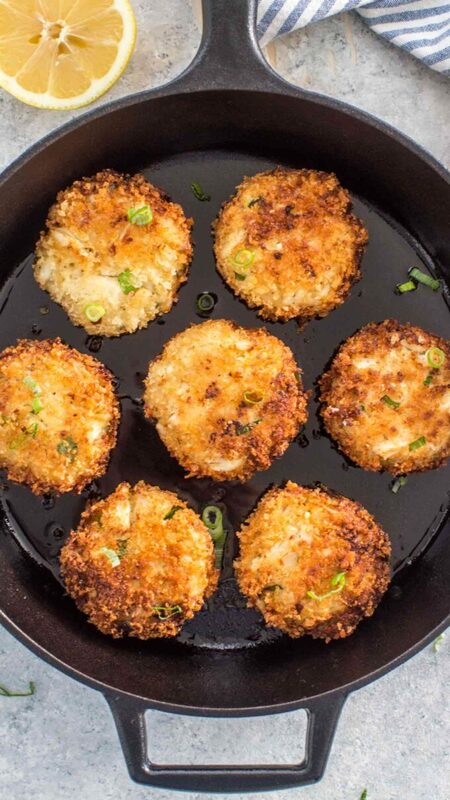 Crab cakes are the perfect seafood treat, crispy on the outside and tender on the inside. With fresh crab meat, high-quality ingredients and the right sauce, you will have a meal that everyone will enjoy. They are great as a snack, appetizer, or main dish. Crispy Crab cakes are really easy to make. 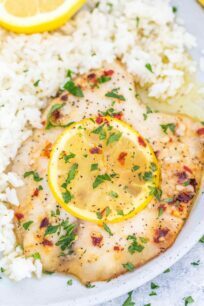 And, if your family enjoys these types of seafood recipes, we have alternative recipes to choose from. You should try the shrimp cakes or the salmon patties. These are easy and delicious dishes to make, and a nice way to incorporate seafood in a meal. 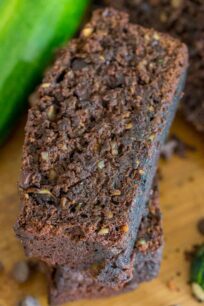 They are great for lunch, dinner or even as a high protein snack. 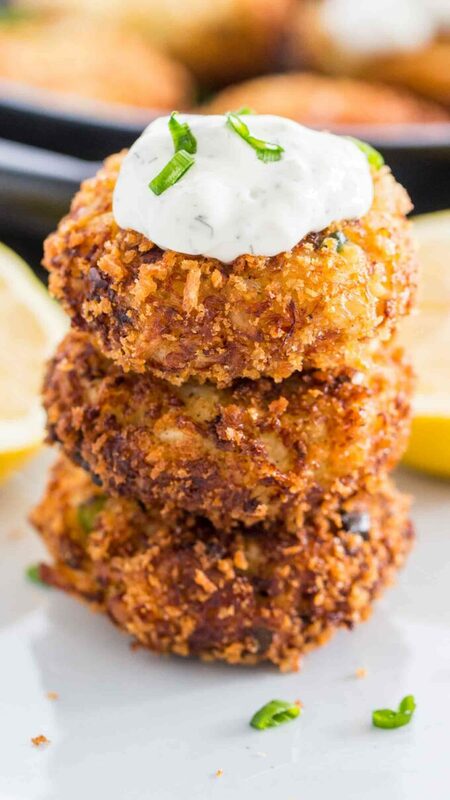 Crispy Crab Cakes are so incredibly easy to make, all you need is some simple ingredients like: egg, mayonnaise, and fresh crab meat, green onions and some lemon juice. We also like to add a bit of mozzarella cheese, it is not overpowering and it helps them from breaking. The patties are coated in panko bread crumbs, it gives them that crispy exterior that is so delicious. 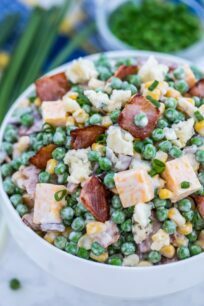 With this delicious recipe, you will have a meal that both kids and adults will love. You can serve them as is for lunch, or you can make a side dish and enjoy them for a dinner meal. 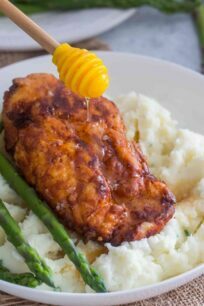 The sauce is also very delicious and super easy to prepare. Crab cakes are a patty like cake with crab meat as their main ingredient. 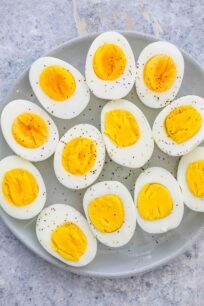 Depending on the recipe, there are other ingredients like bread crumbs, mayonnaise, eggs, and mustard that goes with it. Different recipes have different ingredients, but the main ingredient will always the crab meat. What kind of sauce goes with crab cake? You can prepare them ahead of time, but we recommend not frying or baking them in advance. It is best to serve them immediately after being cooked. However, you can prepare the mixture and put it in the fridge or even freezer before use. It is really important that you don’t cook the cakes and then freeze them. They won’t taste the same. Since they contain mayonnaise, they might become soggy and fall apart once cooked and frozen. The crab meat is a healthy protein. And, if you are choosing the ingredients that are healthy, you will have a perfectly healthy meal. It will depend on what ingredients you are using, and the type of oil that you are going to use for frying them. Also, try avoiding imitation crab meat. Even though this is a cheaper alternative, the taste will not be the same. Just remember, that not all crab cakes recipes are designed to be healthy. With low-fat ingredients you will have a much healthier cakes. Also, try using olive oil and reduced fat mayonnaise. In this recipe, we pan fried them to get a crispier texture. However, baking them is an excellent alternative, and also a healthier one. When baking them, make sure to use parchment paper to cover the tray. Then, bake the cakes in the oven at 350 degrees F for about 25, or until golden brown. Many people are saying that baking the crab cakes results in a dryer texture. To avoid this issue, we recommend dipping the cakes into any of the sauces listed above. HOW LONG WILL THE CRAB CAKES LAST? To better preserve them, is best to refrigerate them after cooking. Use an airtight container and store them in the fridge for up to 2-3 days. To reheat, add a teaspoon of olive oil to your skillet, and heat over medium-low for about 3 minutes on each side. Also, you could microwave them before serving. Crab cakes are the perfect seafood treat, crispy on the outside and tender on the inside. With fresh crab meat, high-quality ingredients and the right sauce, you will have a meal that everyone will enjoy. Add 1 cup of Panko bread crumbs to a shallow bowl and set aside. To a large bowl add: sour cream, mayo, beaten egg, Old Bay seasoning and lemon juice. Stir to combine. Add crab meat, mozzarella, garlic, 1 cup of panko bread crumbs and chopped green onions. Season with salt and pepper. Stir until fully combined. Use a spoon or ice cream scoop to scoop equal amount of the mixture and roll into balls, use your palms to flatten them into patties that are about 1 inch thick. Add the patties one by one to the bowl with panko bread crumbs and use your hands to pat the crumbs onto the patties. 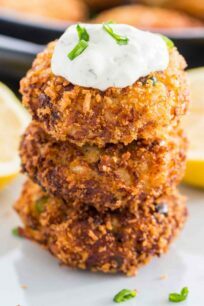 Place the crab cakes on a cutting board that has been covered with parchment paper. Freeze until firm, for about 30 minutes. Place a large, deep skillet over high heat and add about 1 inch of vegetable or canola oil. Wait for the oil to get hot. Add the crab cakes, if needed work in batches. Fry on both sides for about 2 or 3 minutes, until the cakes are golden-brown. Be gentle when flipping them and when removing from the pan. Drain on a paper towel-lined plate excess oil. Add all the ingredients to a small bow and stir until fully combined. Serve the crispy crab cakes with lemon wedges on the side and Lemon Aioli for dipping. I just so happen to like a good crab cake. Your recipe looks really good and now I want to make some crab cakes for this weekend. We are a seafood loving family and we enjoy making crab cakes. I haven’t made them in a while and I want to try your recipe. Your crab cakes look so tasty. The lemon Aioli is the perfect finish for these crab cakes. Helps lighten the meal while highlighting the crab meat. Love that you added the mozzarella cheese to really make these a decadent meal. I love crabcakes. They are probably one of my favorite things to eat. 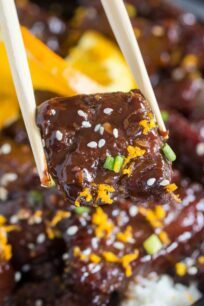 This recipe looks delicious and I might just make it for game days. Crab cakes look so good and a favorite of so many people. 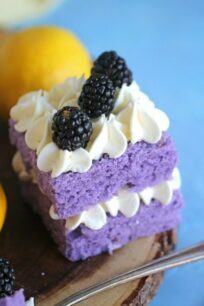 I love the pictures the cakes look so appetizing and a great addition to any meal or dinner party. YUM! I’m from Maryland so we are always making crab dishes in my household. Hard to beat a good crab cake! I think my kids would really like these. They are fans of crab. I might have to make these for dinner one night. Oh yea, and crispier the better I say. We are big fans of this meat, so thanks. I’m such a fan of crab cakes. This looks easy enough. I may try it out! I love crab cakes! These look really good to me right now. They definitely seem pretty simple to make. I love crab cakes! 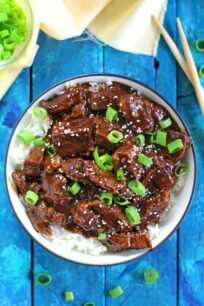 This recipe looks simple and delicious! I’m going to have to make these this week. Oh gosh I LOVE crab cakes but have never made them before!! I need to try your recipe!! Crab cakes are one of my favorite things to eat. I normally dip them in Remoulade myself. Often times I’ll make a sandwich and add tomatoes and lettuce along with different types of sauces on the crab cakes. My mom loves crab cakes! I’ve never made them, but perhaps I will surprise her with these one night. I appreciate the suggestions about what to serve with them too. I always struggle trying to figure out the right sides to serve with a meal. These look amazing! For all this time I thought I didn’t like crap cakes! I know I know I sound like my kids. We went to Turks and I was like wow I like crab cakes! I’m going to put these on my memo plan! Yummy! I am a huge fan of seafood and crab cake is one of my favorites. Your recipe seems so easy to make. I can’t wait to try it. 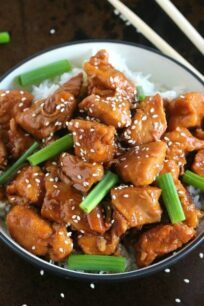 This is one of my favorite food and this looks so delicious. 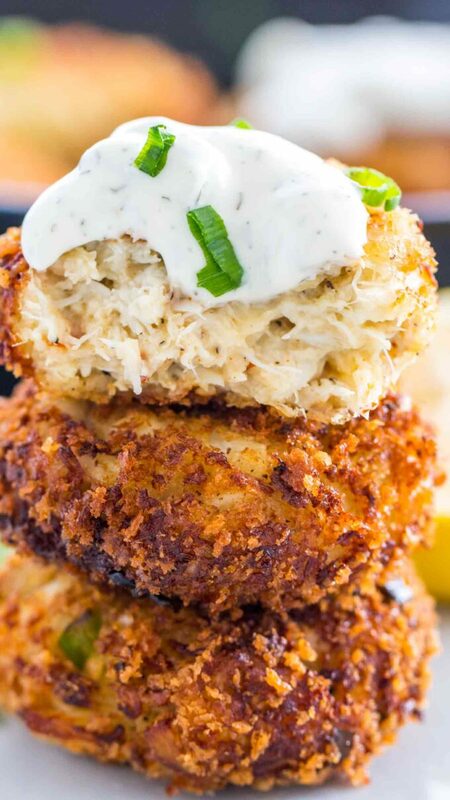 I will try to make this kind of crab cake and for sure my husband would love it, thanks for sharing! I miss eating crab crake. I used to make it back in my country origin but it’s too hard to get a good crab meat here. Wow i made these and they were so full of flavor! Loved loved loved the texture too!